Your holiday table is a place to gather, not only for a wonderful meal, but to express gratitude, good will, and happiness amongst the friends and family members seated there. It is a place of upbeat and lively conversation. And a time for celebration! Preparing for such a gathering takes a lot of work. As the host, you are not only in charge of the menu, but for readying the table for guests to enjoy themselves in a convivial and festive setting. 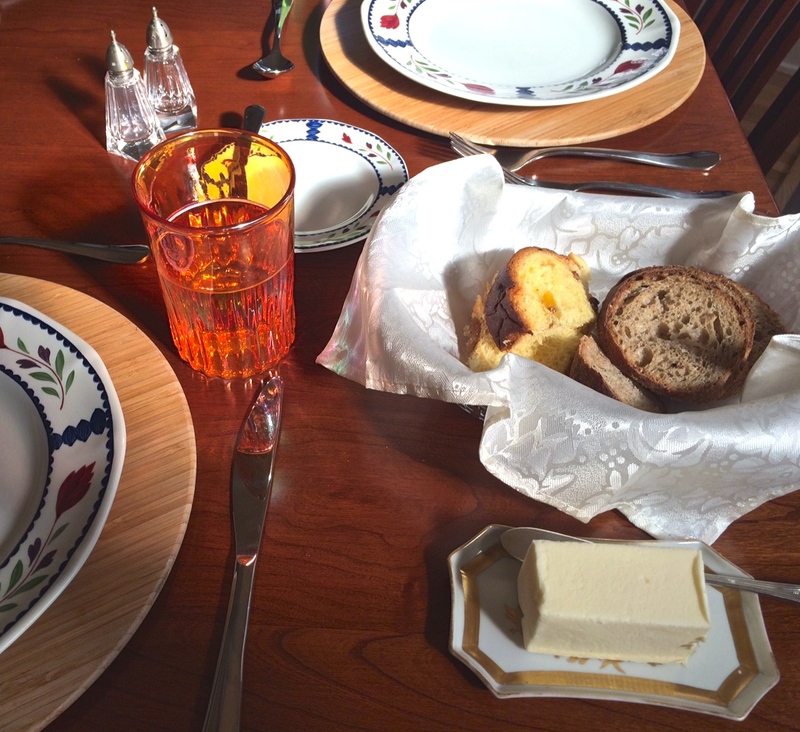 Before setting the table or arranging a centerpiece, you need to know how the meal will proceed. Will food be served by staff, passed around family-style, or as a buffet? How many courses will be served? This determines the space each place setting will take and, therefore, how much space is left for decoration. Remember that centerpieces should be low enough that guests can still make eye contact across the table. If your guest list is made up of adults, a centerpiece that is 7-8 inches high is usually comfortable. Think about where you want everyone to sit. Unless you have place cards set, you will need to direct guests on where to sit. It's your table - and your rules. Make sure your guests know what is expected of them. Mobile devices are strongly discouraged at the holiday table. Or any table. Ask your guests to leave theirs in purses and coat pockets, or turn them off to keep the distraction at bay. If you, or a guest, have a pet present that will disrupt the meal, provide a space for the animal outside of the dining area. 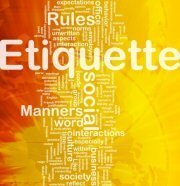 If past experience gives a clue that a certain guest may say something outlandish or offensive, privately let him or her know ahead of time what isn't okay to talk about at the table. 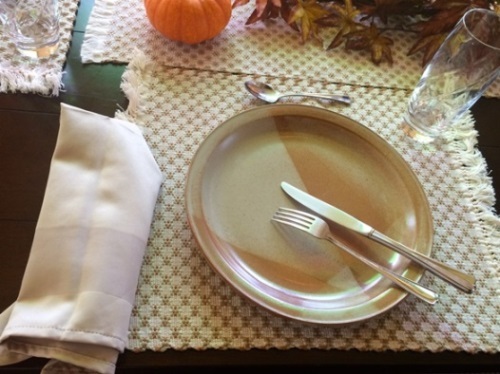 The general etiquette rule is that the meal begins when the host places her napkin in her lap. But, as the host, you may need to direct your guests through a few steps to reach that point. Call your guests to be seated all together. Hopefully, during your preparations, you established where each guest will sit. If you do not have place cards set, tell guests which place at your table is theirs. When you call guests to be seated, you may also want to mention if a prayer or toast will take place before the meal begins. "Please, everyone come be seated, and I've asked Richard to say a blessing before we begin eating." If food is passed around the table, you should indicate how. Yes, the standard direction is to the right, but some guests may get so excited about the food that they forget this detail. "Everyone, help yourselves to a dish and pass it to the right. I hope you like it!" How will dessert be served? Will you continue with this final course at the table, or have everyone move to another room for dessert? Establish a system for clean-up. And let your guests in on your plan. "Please leave your places as they are. I have dessert and coffee set up for us in the living room." Or, "Let's take a breather after our huge dinner. Please take your plate into the kitchen and leave it on the counter. Then on your way back, stop and get your dessert on the buffet." 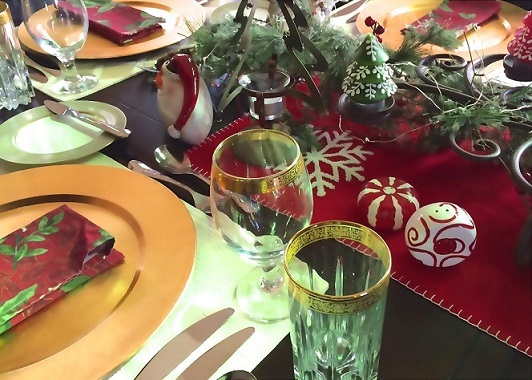 No matter which holiday you're celebrating with friends and family, preparing and setting expectations with your guests will help the event run more smoothly. And those who are privileged to gather at your holiday table are sure to leave it with many fond memories.